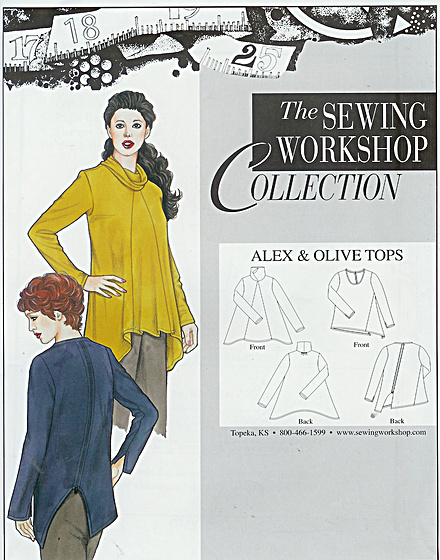 One of a Kind Design Tops – two way stretch only Alex: Cowl-collar knit pullover with inset A-line front, gathers at center back neckline. Curved sides extended to mid-thigh, long sleeves. Olive: Scoop-knit pullover with diagonal side seams and exposed decorative back zipper on the diagonal. Curved left back hem detail and open vents in the long sleeves.